Candy apples are my all-time fall favorite. I love the sticky sweet coating on my favorite Granny Smith Apple. 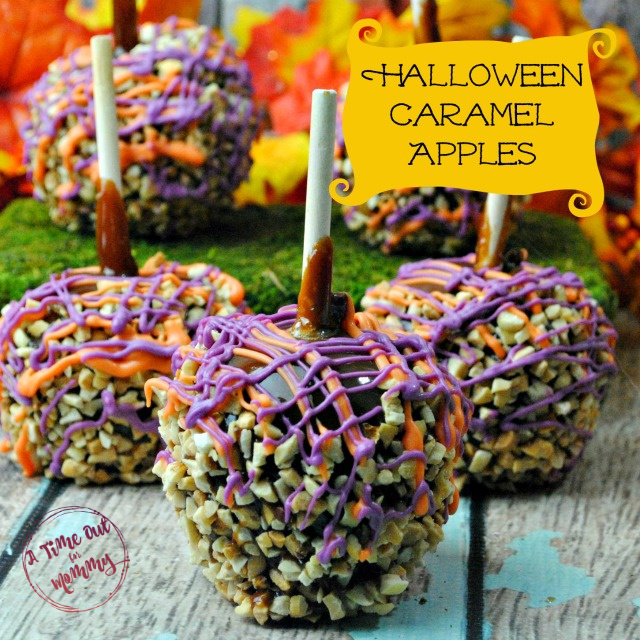 It wasn’t until my oldest came along that I started liking caramel apples. 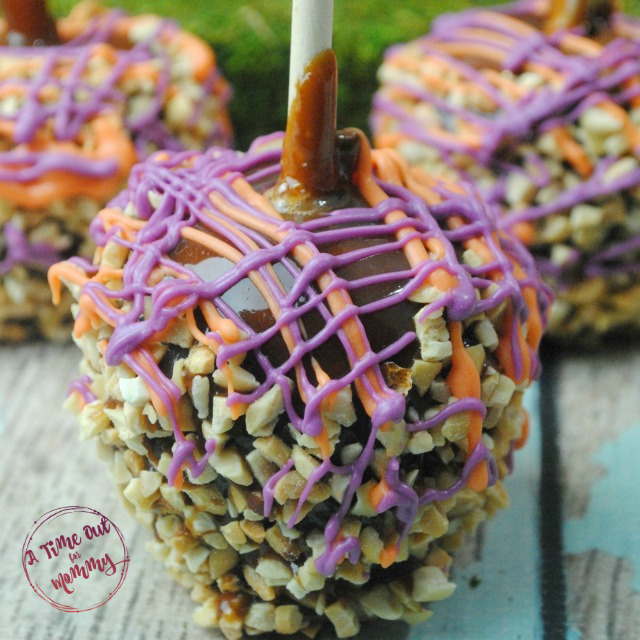 I was never a big caramel lover, but coated on top of a tart apple, caramel is perfection! 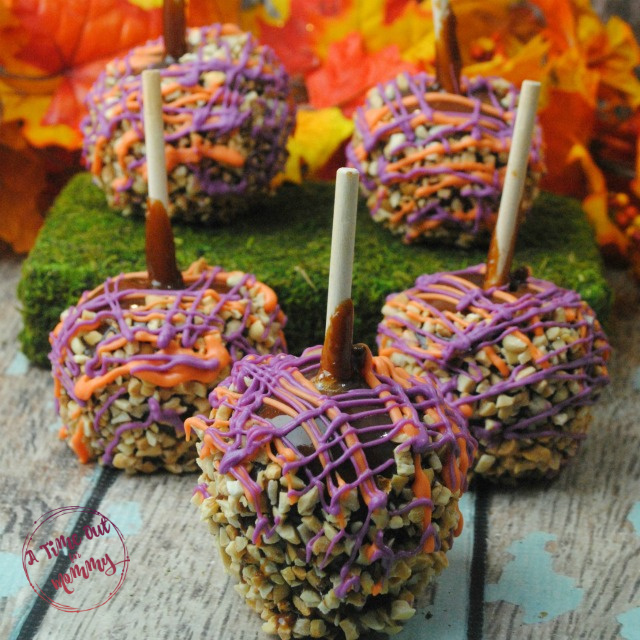 This fun treat is easy to make and kids will love to help. You can change the colors or toppings to suit your taste buds. Grocery store apples have a wax coating. You will want to remove the coating before starting to make the caramel apples. The easiest way to remove the wax coating is to dip your apples in a pot of boiling water for a short amount of time. When you remove the apples, one at a time, from the pot of water, use a rough cloth to wipe the remaining wax off of the apples. Set aside to allow your apples to cool. (Make sure that your apples are dry). Push a stick into the core of each of the apples. Cover each of your cookie sheets with wax paper, taping down each end. Sray the lined cookie sheets with baking spray. This is the time-consuming part, put the bowl of caramels and water in your microwave cooking on heat for 2 minutes, stir and then return to the microwave for another minute, continue repeating this process until the caramel is fully melted.